The Mount Vernon Genealogical Society Research Center is located in Room 214 at the Hollin Hall Senior Center, 1500 Shenandoah Ave., Alexandria VA, Phone: 703-768-4101. It is open to members and nonmembers alike every Tuesday and Thursday from 10 am to 2 pm, and every 2nd, 3rd & 4th Wednesday from 10am till 2pm. We close at noon on the 3rd Tuesday of the month for our monthly General Meeting (downstairs, but also open to members and nonmembers alike). We offer individualized tours of the facility during all hours we are open. Group tours for at least eight, but no more than fourteen people may be scheduled for 10 am any Monday (contact Linda MacLachlan). We will show attendees how our books, journals, maps, manuscripts, member pedigrees, CDs, videos, website, and computers. The only Research Center privileges reserved for MVGS members are the borrowing of printed materials, and videos of past Society meetings. 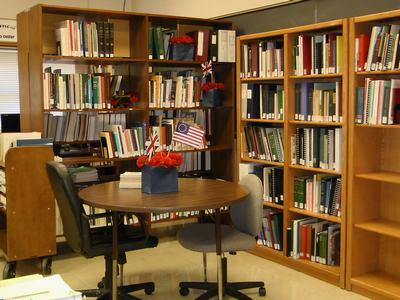 The Research Center offers a large genealogical library which includes most basic references, a breadth exceeding other Virginia Libraries, and some books and journals available nowhere else in the D.C. area. The catalogs, by subject, author and title and a list of our many CDs may be found under the Research Center tab. These references should be reviewed in advance of visiting the Research Center to get the most out of your visit. The Center has seven computers linked to the Internet, that have access to genealogical research sites such as Ancestry (World), Fold3, Genealogybank.com, Family Search.com, AmericanAncestors.org, and newspaper archives. 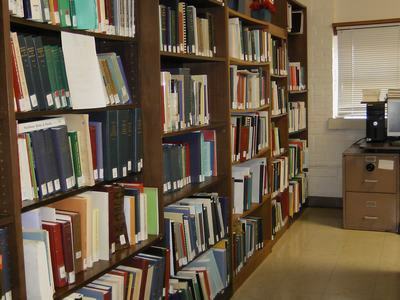 For members, many books and journals may be borrowed for extended periods of time. Videos (and more recently DVDs) of all lectures presented at the Society’s year-round meetings may be checked out on the same basis. Click on the green icon below to take a virtual video tour of our research center.